Kat's 9 Lives: I Love Disney's Tsum Tsum Game & Plush! Some Tips About The Game! 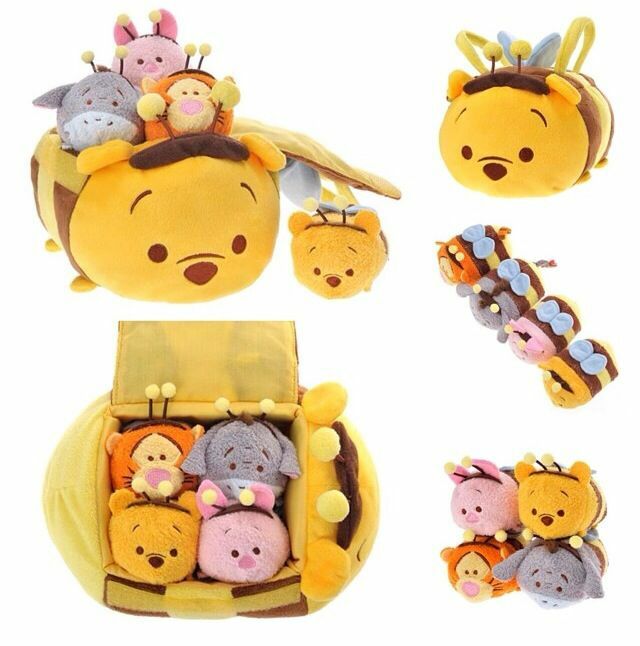 I Love Disney's Tsum Tsum Game & Plush! Some Tips About The Game! Who doesn't want to hug these adorable plushes? 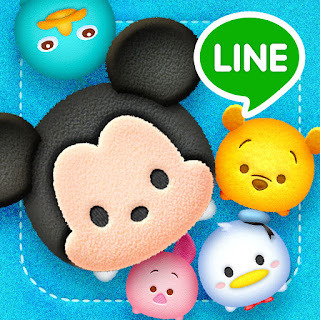 The Line App starting video is just so cute! At first I downloaded the game and deleted right away because I wasn't really interested in the concept. Ironically, I kept showing the video to everyone and incited many people to start downloading it for themselves to play. Later Ms. Lin Guide started playing and I re-downloaded the game to join in. Now.... I am addicted! I have almost all the tsum tsums in the game except Pluto and some special tsum tsums as I only started playing recently. 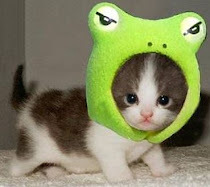 If you want to join me in the game, you can add me on Line under kats9lives. Please note that I never go on Line and I am only using it for the purpose of getting hearts from other players. O=) Below are some tips about the game. To get lots of hearts, you can just randomly add people and 'invite' them in the game to get 500 coins each. Of course the biggest perk is to get the Alien tsum after 30 invites. Try to find the players that actually go online a lot and play to send you actual hearts as that will give you a 200 coins bonus. Don't press 'claim all' as that doesn't send hearts to others except if they are out of hearts and requesting one. The game forces you to press one at a time when you are claiming the hearts and it will automatically send one back to the sender if you haven't sent them a heart within an hour. To get more hearts faster, when you use up all your hearts to be sure and ask from the people you know who play a lot. Even if they press 'claim all', you will at least get that heart back. The more coins you get, the faster you can get your coins up to 10,000 or 30,000 to buy a Happiness or Premium box. Honestly, the Happiness tsum tsums are not great for anything except certain bingo cards. The US version only has 4 bingo cards for now and are pretty fun and easy to complete. For some reason, card 2 is much harder so you can jump from card to card. You can only play one card at a time, but you won't lose your progress if you decide to continue on another card. I was lucky to get Maleficent close to the beginning as she was a great scorer and decent coin earner. As I play more and level the characters up, I know which ones that can get me the most coins. Belle is great if you can get her to level up and she will collect tons of coins as well as get you a good score. Rapunzel and Ariel are not bad at level 3 to earn coins. Rapunzel does score much better as she clears 22 tsums at a time. 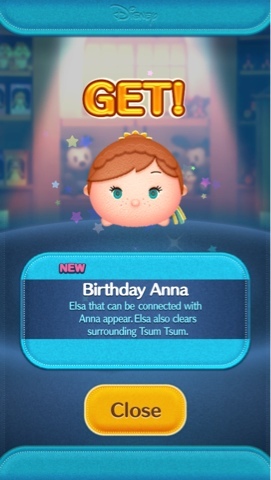 Birthday Anna's power are similar to Maleficent and she can earn a lot of coins with high scores especially if she levels up. The only downfall, in a way, is that she tends to generate a ton of bubbles that can cover the whole screen and end up hurting your chances of scoring and earning more coins. Lotso and Jessie are not bad at level 3 for coins as well. A lot of the tsums don't seem to improve even with their levels being higher. Enough of my game addiction for now... you will most likely see more if I am still addicted to the game O=D Lastly, I have to shout out to the cute Pooh Bee tsum tsum bag and set I bought. It was so cute that I bought two before they were sold out! 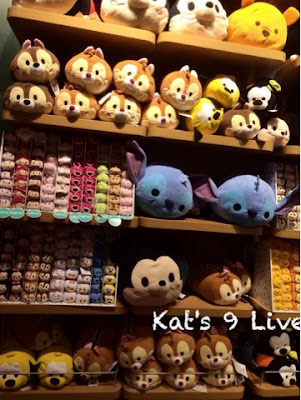 Tsum tsums have been getting more and more popular as there seems to be a shortage in stores and online, so be sure to purchase them before they are gone. I have my hoard at home ready and soon I will show you some tsum tsum macarons from a local store ^_~, so stay tuned!